Vendor Info & F.A.Q | East&Grand. East&Grand is the perfect platform for you to sell your products. Our social media presence along will our many affiliate partnerships gives you the opportunity to reach a wider audience. Our vendors are afforded the nessacry tools from within their dashboard to run an efficient business while our many commission structures makes it easy to find the best solution their needs. Upon registering, you will be given access to your very own vendor dashboard. This section of our site gives our vendors full control over every aspect our their selling experience. All sales, products, images and business details can be managed, tracked and modified from within your dashboard. Once a product was been uploaded and published to our store, it will accessible for customers to order. What Are The Commission Rates ? Sellers keep 80% of each sale. When Do I Receive Payments ? Sellers will receive weekly payments to their PayPal accounts upon withdrawal request. Sellers are responsible for shipping their sold items to buyers. If you’re using a shipping or fulfillment service, please keep in mind that you are ultimately responsible for making sure that your buyers receive the item(s) they purchased from your shop. All transactions will be processed via PayPal. PayPal accepts all major debit & credits cards and provides a security for all parties. All seller must have valid PayPal account capable of receiving funds. 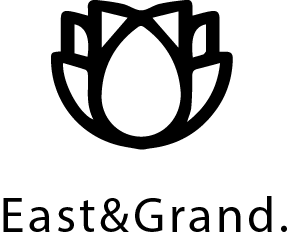 ©2019 East&Grand · The Premier Destination For Premium Products East&Grand.